This past Saturday I did a little time travel. I was taken back to being a little school girl. I was dressed in my uniform, sitting in our school’s auditorium waiting anxiously for the lights to dim and the curtains to open. We were in for a treat. The dancers of Alvin Ailey were coming to perform for us. They would travel from Manhattan to our little Catholic school in Queens. It wasn’t our first time seeing them and I hoped it wouldn’t be my las. I was always excited to see them. They were brown men and woman, who had come to share their talents with me, with us. They made me want to be an Alvin Ailey dancer. I knew all too young that little black girls could never be prima ballerinas (thank you Misty Copeland for changing that narrative for young girls today) but I knew I could strive to be apart of the Alvin Ailey dance troupe, a group created for African-American dancers. Fast forward to present day Cassandra. I still have a love of dance but I am far from being the dancer I thought I wanted to be. Don’t get me wrong, if you throw on the right music I will still put down some moves on the dance floor. Rochelle worked hard on getting us an interview with a couple of the dancers but unfortunately their tight schedule did not allow us that opportunity . . . this time. There is always next year! However, we still were given the chance to see them perform. Once again I sat anxiously waiting for the curtains to open. We had arrived 15 minutes late due to life and unexpected events, so we had to wait to be admitted for the second act. We were seated less than 20 rows from the stage. The curtains opened and there he stood, stage left with his back to us, facing the back of the stage. I felt myself holding my breathwaiting for him to move. Then I heard Nina Simone fill the theater and he moved. He danced like Nina herself commissioned him to express her words to the world. I was moved. Cliche, I know but I was. I watched, all the while anticipating the dances that were performed at my little Catholic school in Queens. Then the final scene, Revelation started. The little girl that lives in me was clapping with joy. The dances I watched as a child were being performed. Wade in the Water and Rocka My Soul in the Bosom of Abraham were the dances that always stood out in my memory. At this age the songs and performances took on new meaning for me. I was watching old memories with a new understanding. Alvin Ailey has taken on a new understanding as well. They are no longer just an African-American Dance Theater, they are now an American Dance Theater. Diversity. I still know that if I were a dancing chef I’d have a chance at Alvin Ailey. Some things will not change. Thank you Alvin Ailey Dance Theater, Dawn Parker and The Fox Theater for a wonderful night of memories. The next time they come to town I suggest you grab tickets early. The show will leave you wanting more. Maybe you’ll have a childhood memory come full circle. Or maybe create a new one for yourself. So go forward and make some new ones. P.S. 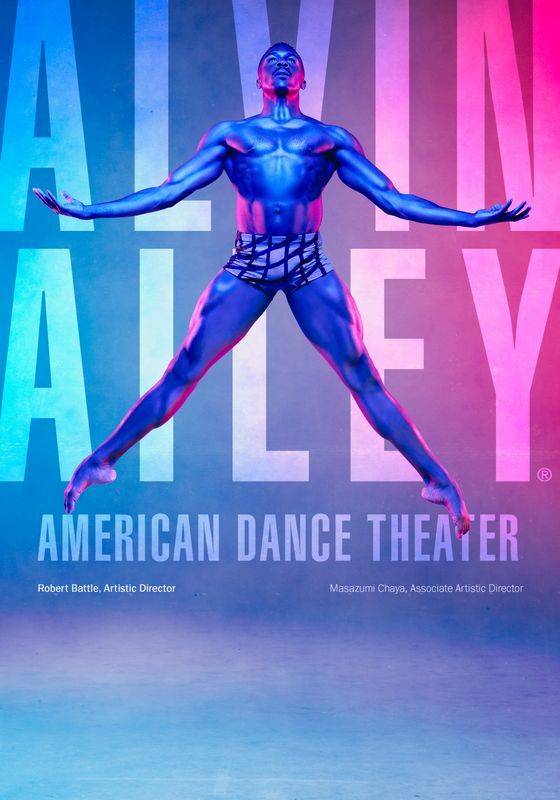 All pictures of dancers and performances are courtesy of Alvin Ailey American Dance Theater.